Wine House - Experience It! If you’ve not yet paid a visit to Wine House, you’re missing out on a great experience. 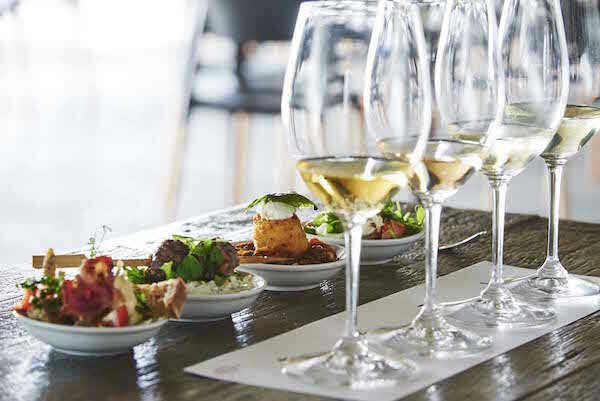 Not only can you taste wines from a variety of boutique Hunter winemakers in their cellar door, you can dine in the newly refurbished wine lounge or even book ahead for one of Wine House’s “experiences”. The food, by chef Ros Baldwin is a delight with share plates and platters that are varied and absolutely delicious. For a visit to remember though, book ahead for one of the experiences, where you’ll receive a complimentary glass of sparkling on arrival and then enjoy 4 wines from some of the best winemakers in the Valley and further afield each paired with a sampling dish from Wine House Kitchen’s chef. A wine expert will introduce you to each wine and answer any questions you may have throughout the experience.